JAN on "Good Morning Vail"
- JAN is currently putting a show together to travel and perform at convention venues. She is continuing to write and produce shows as she has done for the past two years at the historic Calumet Theatre. The shows have been a tremendous success throughout the area. Jan has been invited to write shows for other communities and is presently working on "Dinner Theater Shows" that she will travel and perform throughout the country. - JAN has spent the last two years in the beautiful Keweenaw Peninsula in northern Michigan. While she has been there, she has successfully produced, written, directed, promoted and headlined three shows at the historic Calumet Theatre. Video tapes and CDs of the shows are available from Jan. These productions have included up to 15 people and have been well received by the community and surrounding areas. - JAN has appeared on the Midday Show of local ABC television affiliate, WBKP Channel 5 to help promote her shows and local venues. She has had her own 'Open Mic' show at a local establishment that was a huge success and has performed at many local establishments and festivals throughout the area including Escanaba, Marquette, Iron Mountain and Crystal Falls. - JAN performed in Phoenix, AZ during the winter of 1998. She played conventions at the prestigious "Phoenician Resort". She performed in Scottsdale at the "Backstage Restaurant" and many other local venues throughout the Phoenix area. - JAN performed in the winter of 1997 at the Sugarloaf Resort in the Leelanau Peninsula, just outside of the Traverse City area. Dennis Robbins, a friend and top songwriter from Nashville (Working On A Full House, Garth Brooks and Get Me To The Church On The Cumberland Gap, Shenandoah) performed his hits for Jan and guests. Jan had other guest appearances by various artist and musicians, including the former lead guitarist from the group, Tesla. - JAN performed in Vail, CO in the winter of 1996. 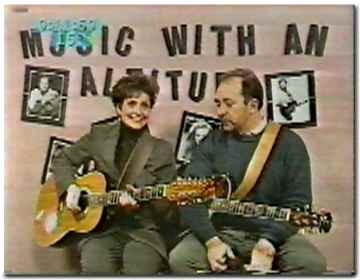 Jan appeared on the "Good Morning Vail" show as a featured entertainer in the area. Jan performed at Serrano's in the village of Vail and on the deck at Bart & Yeti's in Lionhead Village. Jan entertained at private sleigh ride dinners held at the Four Eagle Ranch and other establishments throughout the season. Jan's talent and personality is attributed to her success and many patrons await her return. - JAN performed on many national television shows while living in Nashville, TN. One of these being the "Charlie Daniels Roundup Show". During her stay there, she performed at the famous "Grand Ole Opry". Jan was a guest on the gospel portion of the Opry Show. Jan performed on the "Midnight Jamboree" at the famous Ernest Tubb Record Show on several occasions. Jan also performed at the Ryman Auditorium for one of Nashville's many festivals. - JAN was invited each year to perform at the home of Tom T. Hall and Miss Dixie during the Thanksgiving and Christmas Holidays. She is personal friends with Miss Dixie and continues to stay in touch with her. - JAN has played all over Nashville, including "Printer's Alley" at Barbara's. Jan's backup band consisted of players from Trisha Yearwood's band and also Reba McEntire's band. Johnny Garcia, lead guitar player for Trisha, is a personal friend. He said, "Jan, you get the gigs, and we'll be there", this, of course, being when they are off the road with Trisha. - JAN has many songwriter friends, including Craig Martin and Larry Johnson who wrote the Tim McGraw song, "Don't Take The Girl." Jan had her own songwriters' show at the Ernest Tubb Record Shop in downtown Nashville on Saturday afternoons. Jan performed at the Tennessee State Fair during her entire stay in Nashville. - JAN just recently went to Dallas and spoke with the Grapevine Opry and then to Branson. She was very impressed by the area and the amount of work it had to offer. - JAN continues to strive for excellence in her music and talent. She is continually writing shows and thinking of new ideas to promote her talent and work.